Streatfeild’s descriptions are gorgeous, particularly in those instances where she takes the hopes, thoughts and feelings of her characters into account. A particularly striking example of this is as follows: ‘Now and again, when the sky was blue, and the trees glittered, incredibly green, and the scent of young bracken filled his nostrils, he forgot everything except the glory of the day and the fun of being alive’. 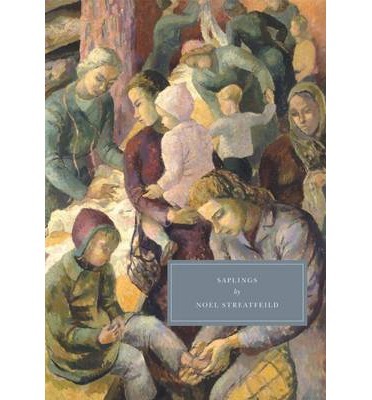 Incredibly well crafted, and utterly beautiful, Saplings is a novel which really gets into the psychology of wartime, and demonstrates just how much of a knock-on affect it had from the beginning.